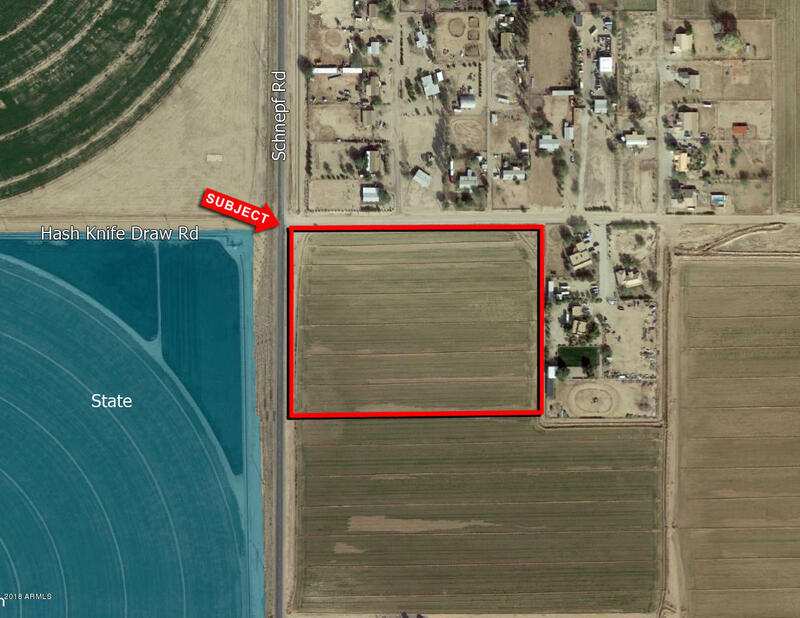 Property is located along Schneph Road in North Central Pinal County. Hash Knife Draw is scheduled to be paved in the next 12 months. Excellent for small builder or Ranchette. Parcel has Grand Fathered Water Rights for irrigation. Water is provided by New Magma Irrigation and Drainage District.